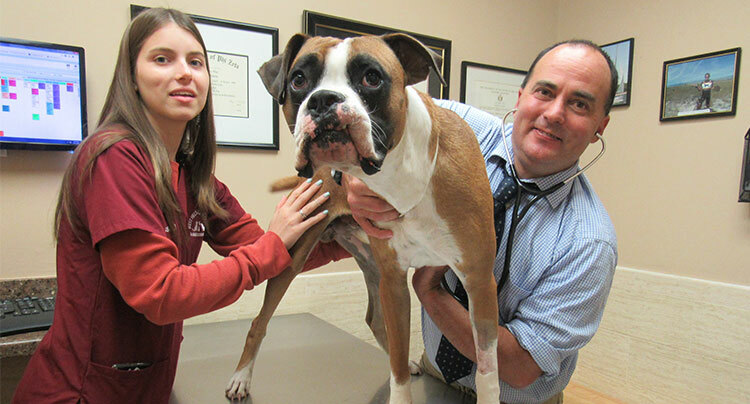 Dr. Jonathan Bingham is one of our overnight emergency veterinarians. Veterinary medicine is actually a second career for Dr. Bingham. He started off as a teacher, obtaining a Master’s in Biology from St. John’s University. For five years he taught Biology, Chemistry and Physics at a prestigious private high school on the south shore, and also was an adjunct professor of Biology and Anatomy & Physiology at Suffolk County Community College (a position he still holds part-time!). With a love for animals and passion to become a veterinarian, Dr. Bingham went back to school and obtained his Doctorate of Veterinary Medicine from Ross University, where he graduated with honors in 2013. He completed his clinical year at Louisiana State University. Dr. Bingham practiced for a few years on Long Island prior to joining our team. In his spare time he can be found fishing on the south shore.